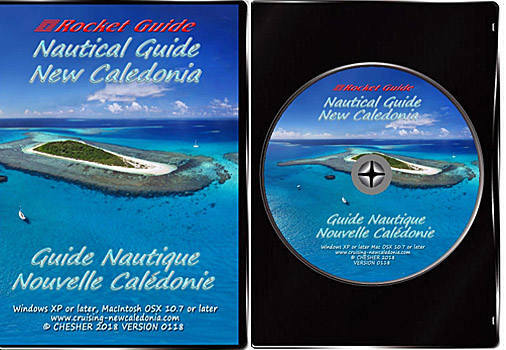 This is the story behind the creation of the Nautical Rocket Guide to New Caledonia. 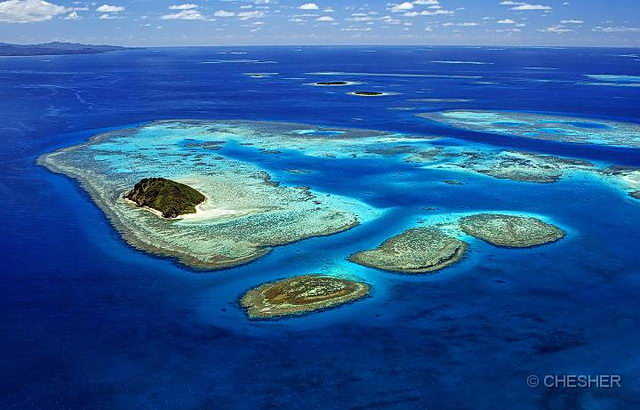 Click here if you are looking for the cruising guide to New Caledonia itself. If you want the Cruising Guide to Nouvelle Caledonie (in French) Click here. 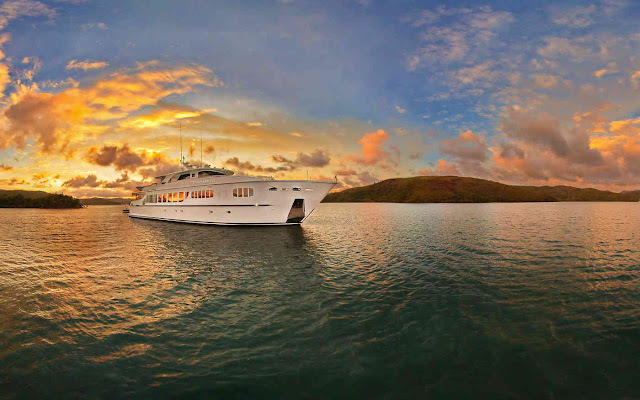 After the success and popularity of the Cruising Guide to Vanuatu Freddy and I decided to develop a cruising Guide to New Caledonia using high resolution satellite and aerial photography. There was already a cruising guide to New Caledonia in book form that was first produced in the 1996. We originally worked with the author/publisher of the existing book to make an electronic version of it. But after finished it and began actually using it we discovered it was full of errors - the maps were inaccurate and the GPS positions were often wrong. So we began again with all new imagery and did our own surveys of all the anchorages in New Caledonia. We called it the Nautical Rocket Guide to New Caledonia because you could zoom from a satellite image of all of New Caledonia to a satellite view showing the coastal area for a full day's sail - and then click on the edge of the zoomed in view to go to the next chart - and all around the country including the off-lying islands. On every view there are a row of icons and clicking on them overlays information showing nautical charts of New Caledonia with depths and navigation aids , sailing directions including routes between anchorages and between New Caledonia and other ports, and anchorages everywhere in New Caledonia, plus an icon showing general information about that area of the coastline. This icon menu stays the same for every view, right on down to the next zoom level - say the high resolution aerial image of Noumea or even closer down to an aerial view of Port Moselle Marina. The guide includes everything a cruising sailor needs for a cruise in New Caledonia including New Caledonia Ports of Entry, new caledonia marinas, where to buy yacht supplies and services in Noumea, New Caledonia money, WiFi and Internet in New Caledonia. 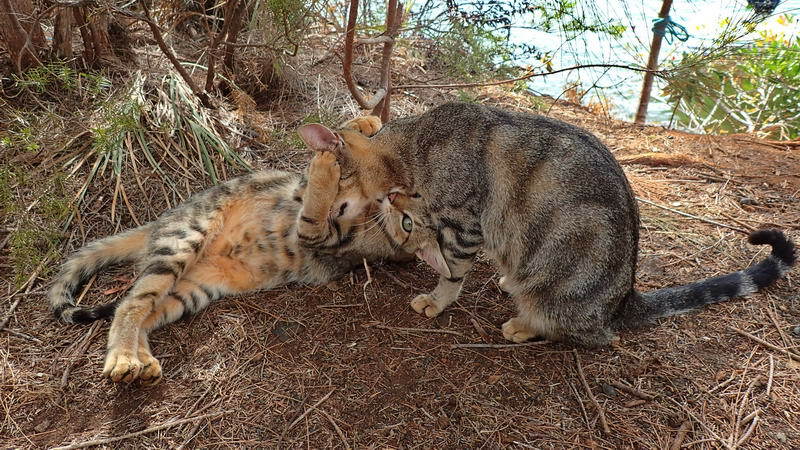 We sell the cruising guide to New Caledonia on the Internet. It is pretty famous because there is nothing else like it anywhere in the world. All the superyacht crews get a copy. We have also done other cruising guides - having logged over three decades of cruising in the South Pacific. The first one is called Cruising Asia and includes the expedition of the Research Vessel Moira when cruising Hong Kong, and then sailing through the Philippines and cruising Palau . The next phase was an 18 month cruise of the Solomon Islands, and then - over a period of years a cruise along the east coast of Australia from Port Douglas in the north to Sydney in the south. The Cruising Australia website is divided into two different years, separated by 18 months of cruising Papua New Guinea. The PNG cruise took us through most of Eastern and NE PNG doing research on shallow water coral reefs and invertebrates (pearl oysters and giant clams) for the government of PNG. Then back to Australia for a second cruise that started in Port Douglas and finished in Sydney and then Elizabeth Reef in the Tasman Sea. The next destination was Cruising in New Caledonia and from there out to cruise Fiji and then to a cruise in Samoa. These cruises were not "cruising guides" but a scientific investigation into the relationship between man and the sea on small pacific islands. And also into the evolution of life on earth. While these earlier voyages do not contain sailing directions, charts, or other practical information on cruising they do give the reader plenty of insight into what it is like to cruise in these areas and of course they document the places where the Moira anchored. But they should be read as intended as the report of a scientific cruise to study evolution and the behavior of island people towards the marine environment.